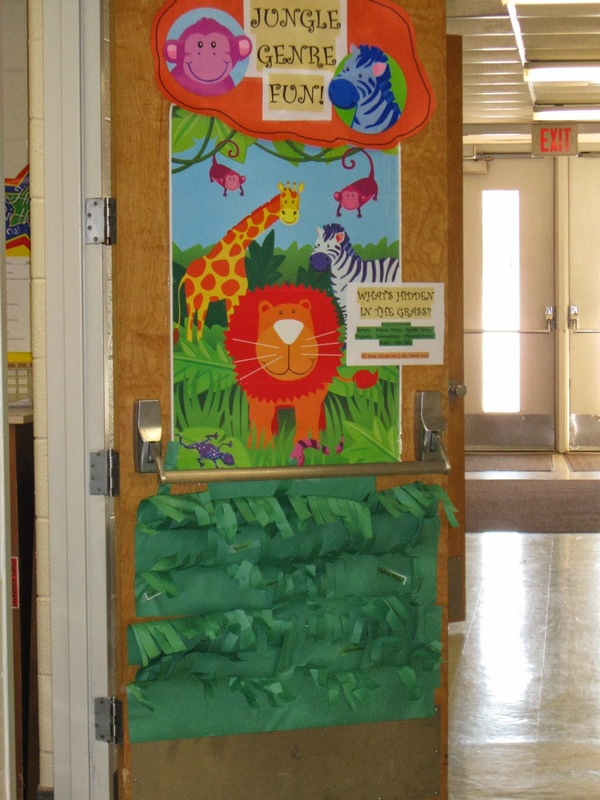 As celebration month gets under way students are making the "Jungle Genre" come alive! 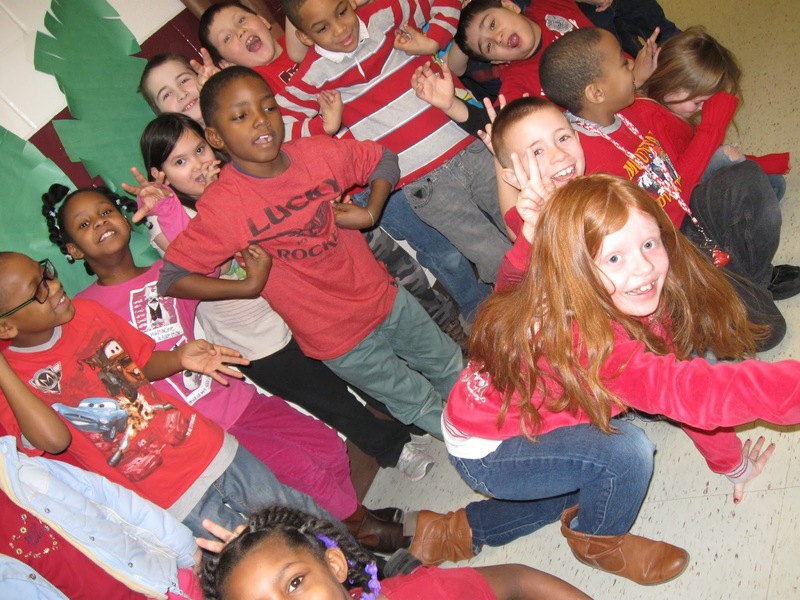 Today they practiced “Books are Read” and wore red. 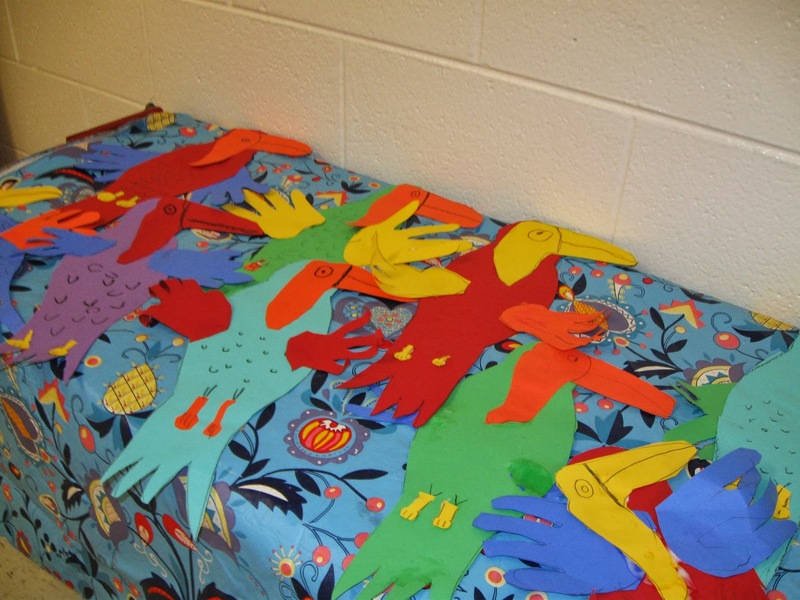 Then they worked with buddy readers to fill the halls with jungle critters. 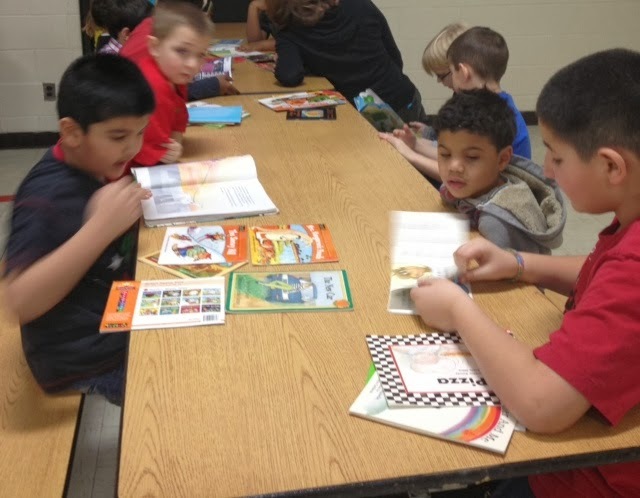 McDowell students will be doing many activities to promote the importance of reading. They just can't wait to hear what else special teacher Ms. Hutchison has planned. 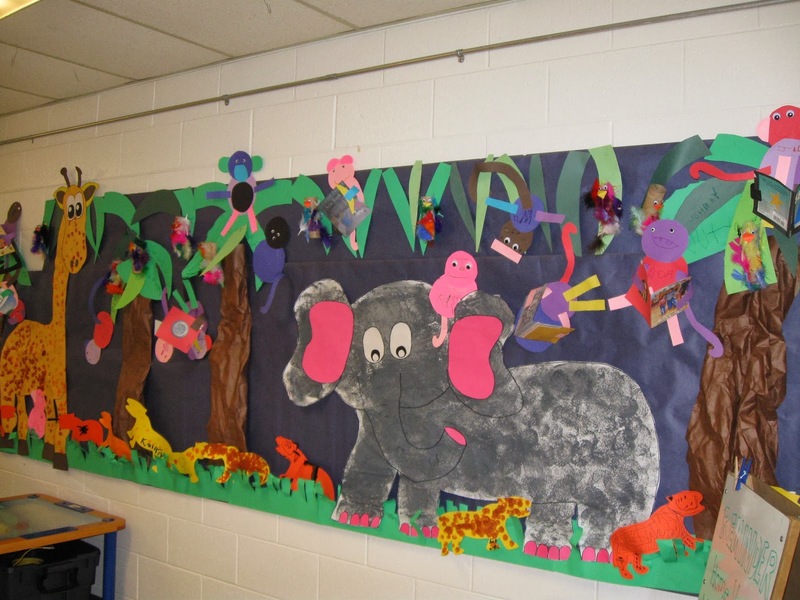 As one student said to their mother as they left school, "It's a jungle in there!" 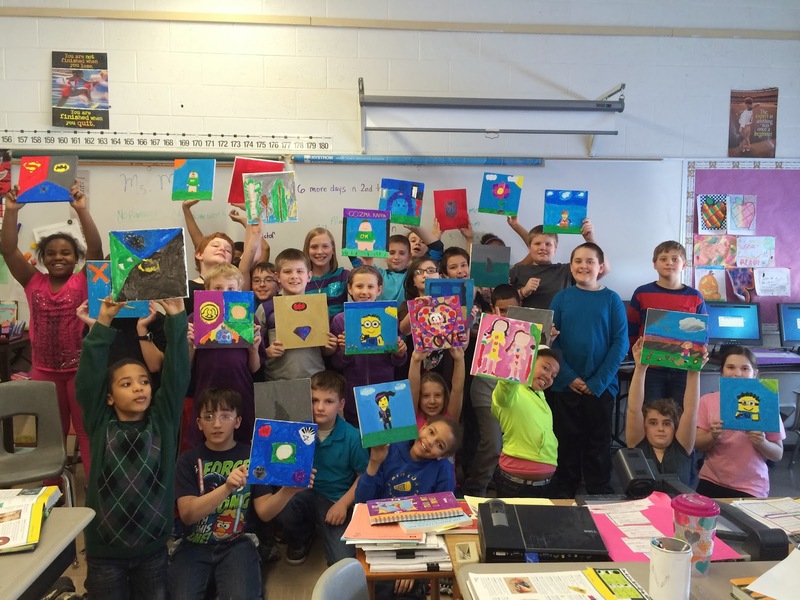 Leasa Vorves has worked with some Kinyon Elementary School classrooms to bring art to the pupils. 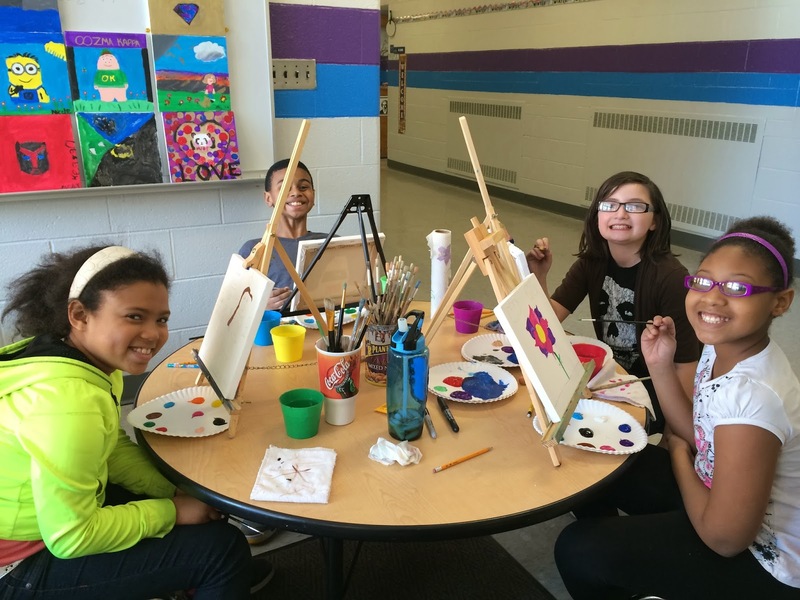 She helps them create gorgeous paintings to take home, free of charge. 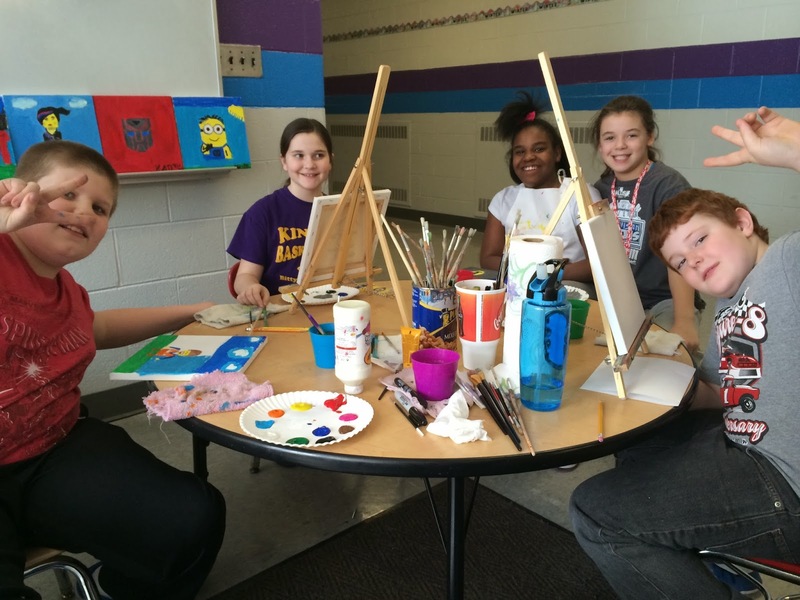 Leasa is a Kinyon parent who also volunteers with the PTO and The Kinyon Copy Brigade. The Taylor Veterans Home Program has awarded the second fully rehabilitated home in its ongoing program to Christopher Michael Holcomb, a former Marine machine gunner who served in combat action in Afghanistan before also serving on a humanitarian mission in Haiti. Holcomb is a Kennedy High School graduate. 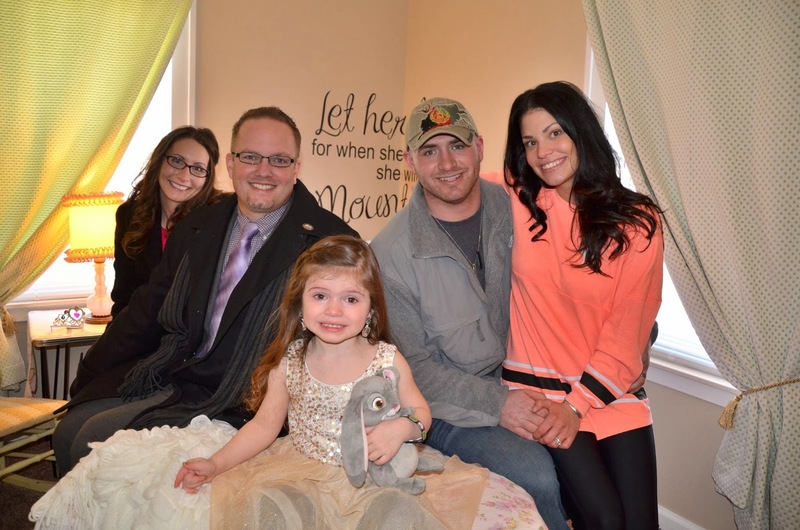 Christopher, his wife Darcy and daughter Veyda, were awarded the residence located at 11360 Polk Street. The Holcomb’s application was selected by a committee consisting of staff from the City of Taylor, The Home Depot Foundation and local members of the Veterans of Foreign Wars. The photo attached includes Mayor Rick Sollars, his wife Alicia, and Darcy and Chris Holcomb. 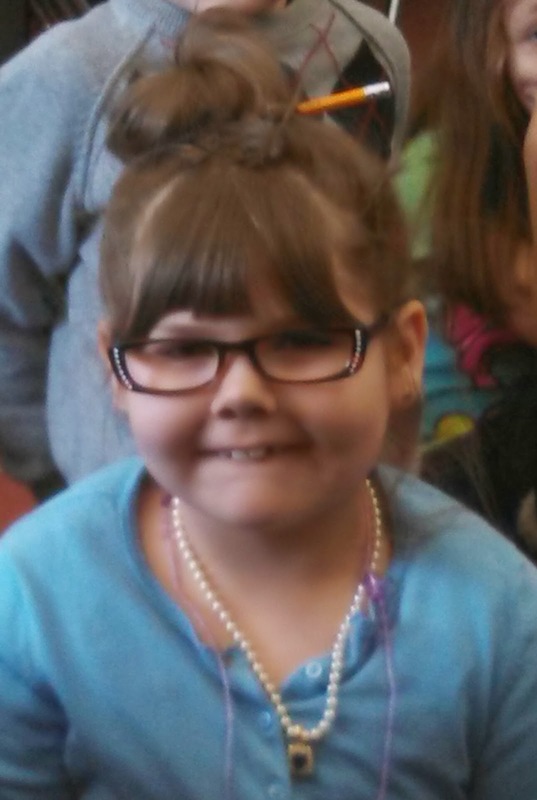 Veyda was too busy playing in her new bedroom! It was the second house awarded to a veteran by the program. In early November 2013, the program awarded its first renovated home, in the 6300 block of Oldham, to the Blaine Hicks family. Hicks is a decorated Vietnam War veteran and a former U.S. Postal Service worker who retired in 1997 due to a heart attack. 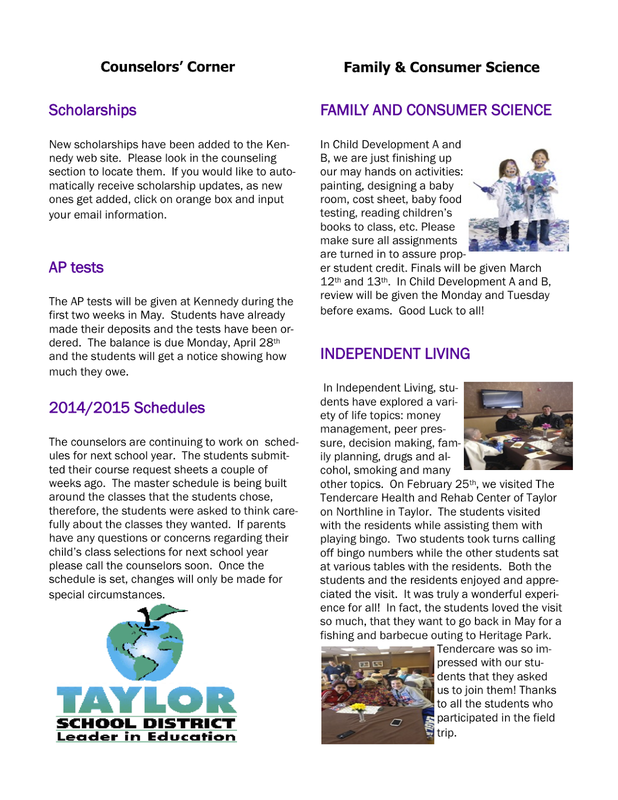 The City of Taylor and The Home Depot Foundation are the major sponsors of the Taylor Veterans Home Program. The Home Depot Foundation and local store have devoted countless hours, supplies, materials and labor to the project. It is truly the “foundation” of the program. In the current effort, the City and the Foundation have been joined by over 30 partner organizations, which have combined to donate tens of thousands of dollars in labor and supplies to the campaign. Volunteering labor, materials and donations to the home rehabilitation effort were the Michigan Regional Council of Carpenters (MRCC); The 313 Project (kitchen cabinets and appliances); Al’s Asphalt (driveway); Alta Equipment (riding lawnmower); Area Towing (washing machine); Behr Paint; CBS Radio; the City of Taylor “Taylor Cares” program (infrastructure); Clopay Garage Doors (garage door); Custom Pro Building; Enchanted Makeovers (furnishings and design); Fairfax Electric (electrical work); Flagstar Bank (riding law mower); A-All-Around Electrical (electrical work); Gibbons Home Improvement (construction); Hennessy Engineering (clothes dryer); International Union of Painters and Allied Trades (finishing work); JS Vig (house wares); Masco Cabinetry (paint and material); Michigan Regional Council of Carpenters (construction); Reflections Building (header and wall); Simpson Brothers Construction (demolition and plumbing); Sound Construction; Swanson Construction (chimney and roof); Taylor Recycling (dumpster and disposal); Trentwood Farms (flowers); Wallside Windows (window repair and replacement); Walmart (flat screen television); Meijer (gift cards); MI Custom Signs (welcome banner); and WOW! Cable (material, equipment and service). • Barton Malow – One of the nation’s leading constructors in a variety of construction-related fields, the company has offered Christopher Holcomb full-time employment and will fully support him during his ongoing job-skills training efforts. 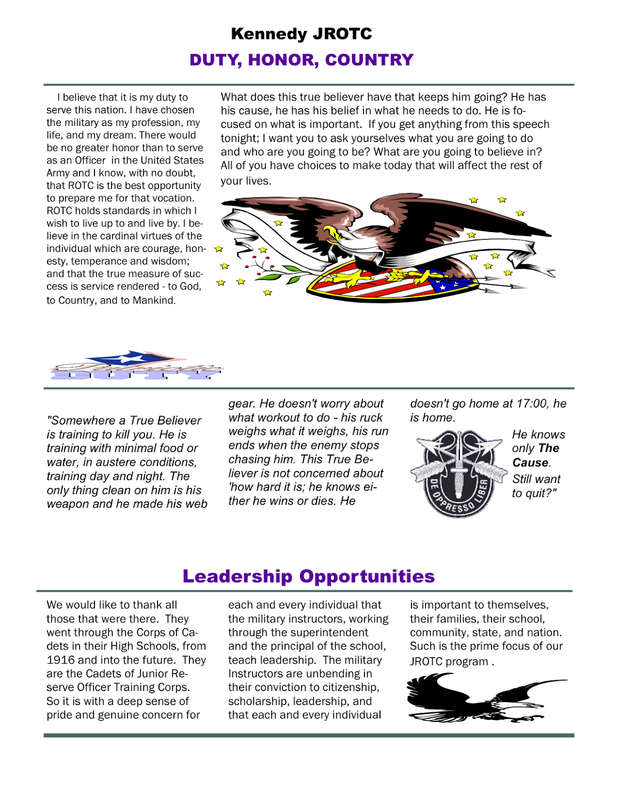 • Helmet’s to Hard Hats – This organization tells veterans that “Your Life Under Construction” has begun. 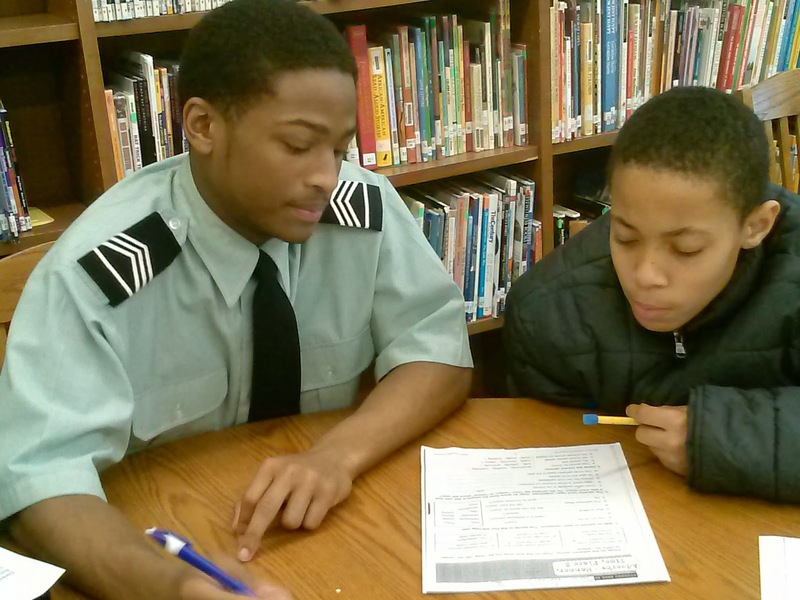 The group connects quality men and women in the Armed Forces with promising careers in the building and construction fields. While Holcomb is employed by Barton Malow, he will be taking skilled trades training with Helmets to Hardhats. • Camp Liberty – This organization focuses on programs and its mission is to assist military veterans and their families as they reintegrate into society after combat. 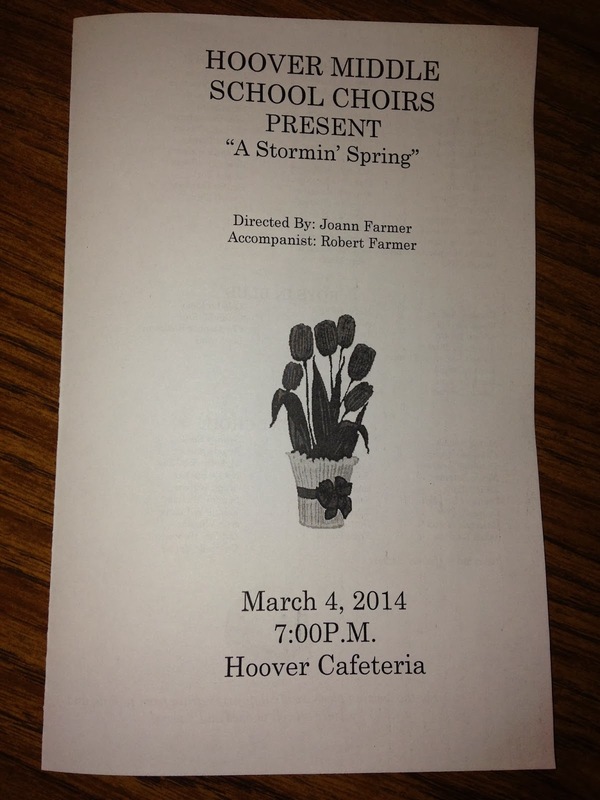 The Holcomb family has been invited to participate in the organization’s program. 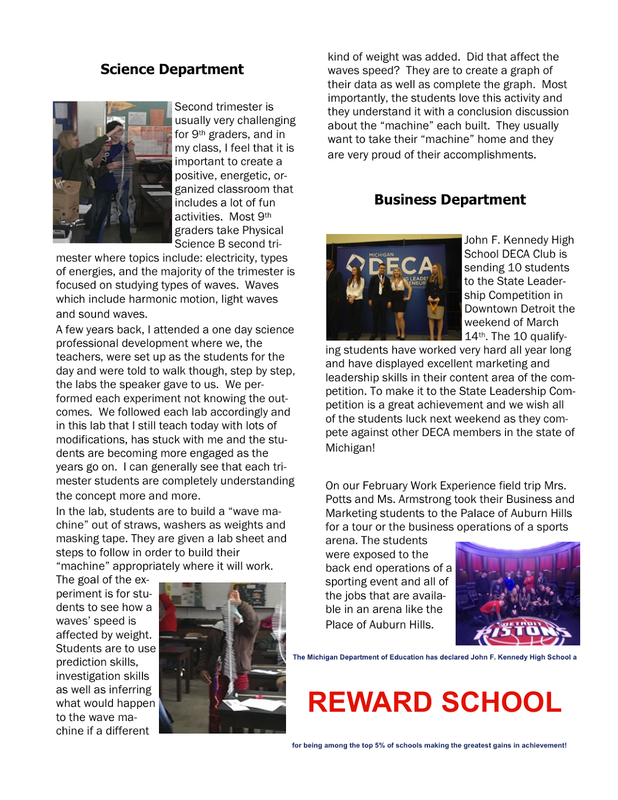 • Schoolcraft Community College – The college has offered the Holcomb’s daughter Veyda a scholarship to attend and receive a full load of 60 credit hours. • CAbi Clothing – Has donated $500 worth of clothing for Christopher Holcomb’s wife, Darcy. • Trinity Transportation – Donated the shuttle services used during the presentation event March 6 at the Polk Street home. 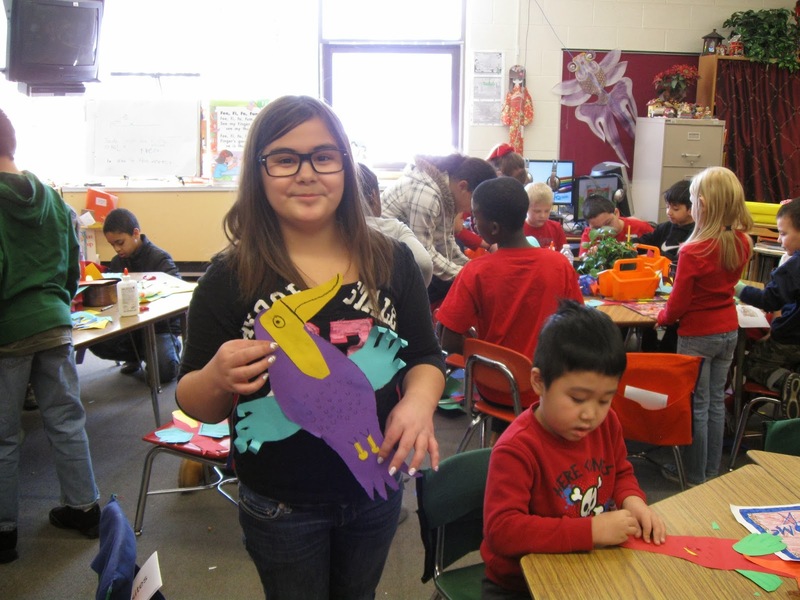 See the WDIV video on the presentation by clicking here. See the Fox 2 New video on the presentation by clicking here. 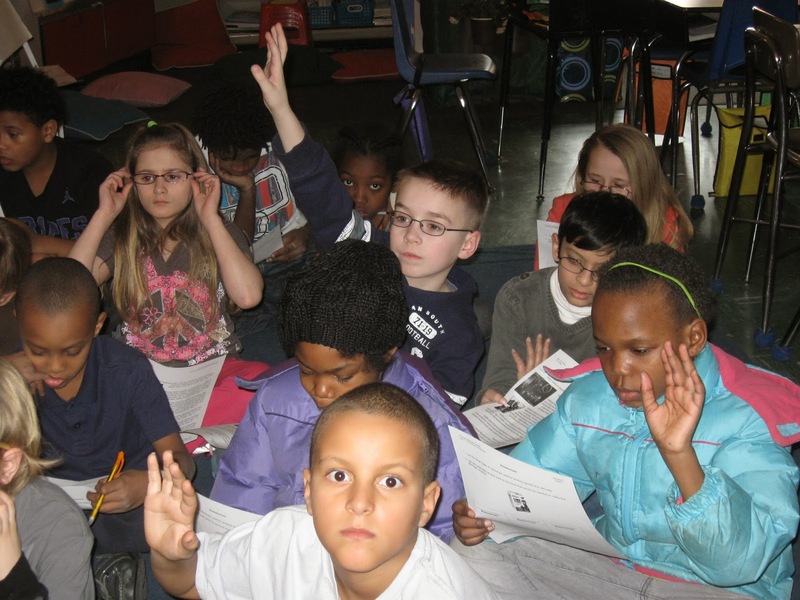 TAYLOR PARKS ELEMENTARY SCHOOL: Who let the dogs out? What can be better than a wet nose? Pupils at Taylor Parks Elementary School are very fortunate to be visited by the Fur Angels once a month. 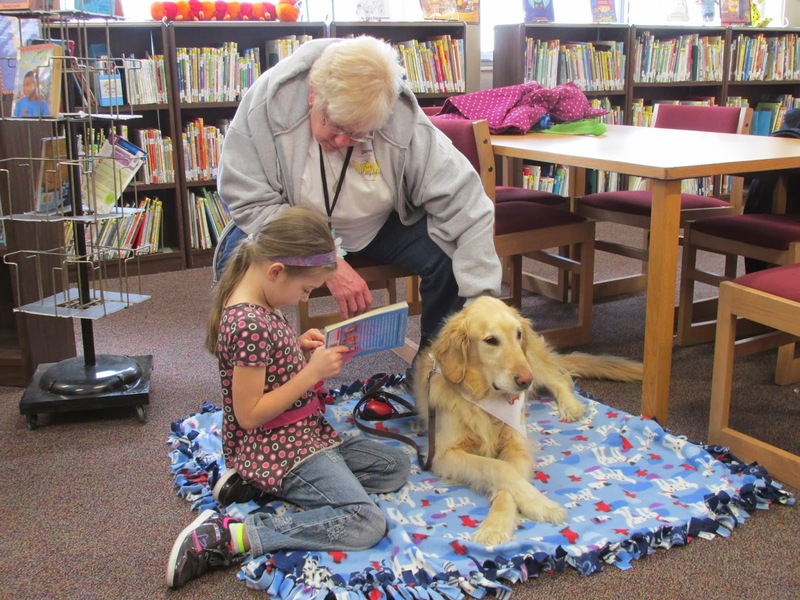 These therapy dogs, along with their owners, enhance the reading experience for selected children. 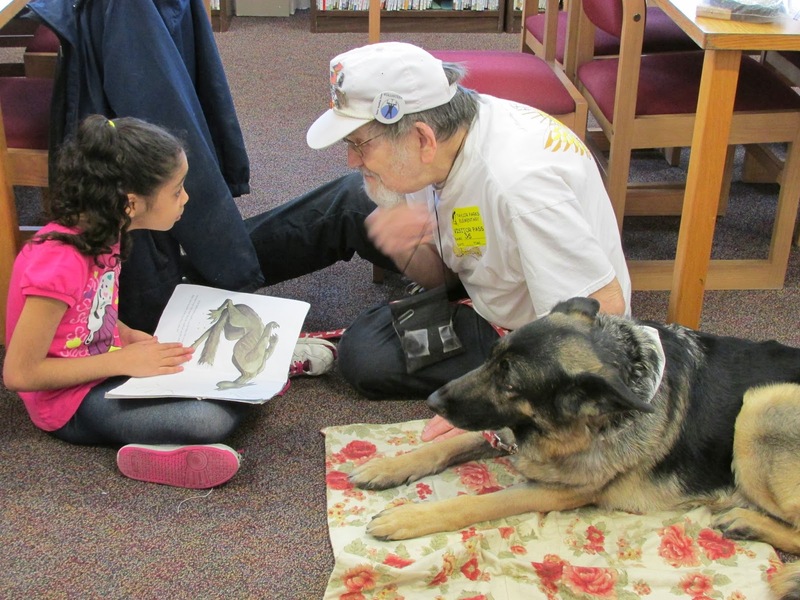 The students actually read to the dogs. Once the books are chosen, the students come to the library and take turns reading to not only the dogs, but also to the owners. 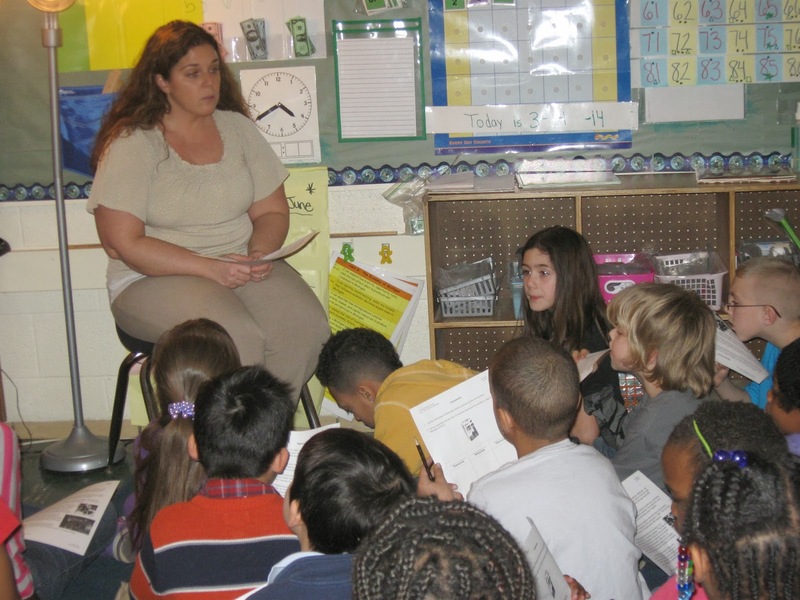 These selfless volunteers listen, question and encourage the students. The owners and their dogs pictured are Odie and Diane Schuler; Beau and Cindy Leskun; and Miss Blue with Joe Bereqszazy. They are just a small part of the Fur Angels Pet Therapy Group. The Fur Angels, along with their owners, have been visiting schools , libraries, hospitals and nursing home for more than 15 years. 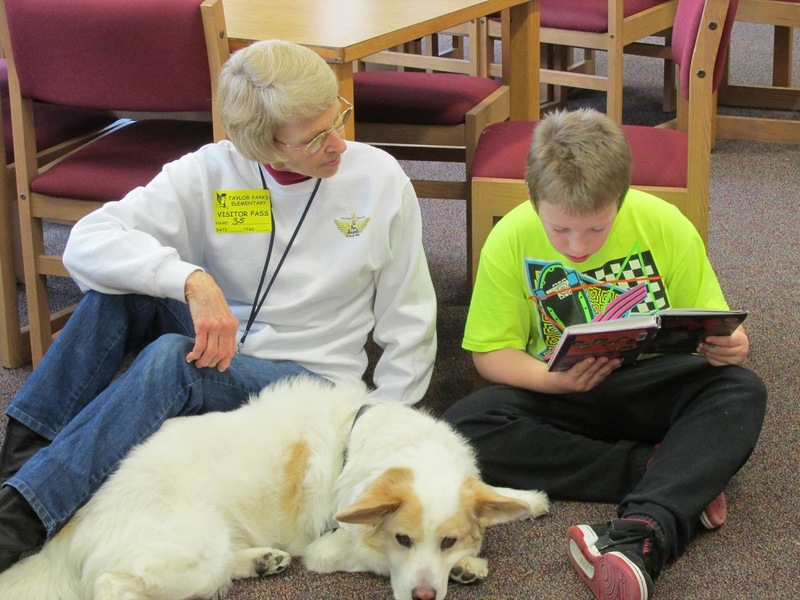 For students, the dogs are the ideal audience, providing a positive and fun environment. Question: Who let the dogs out? Answer: No one. Taylor Parks let them in! 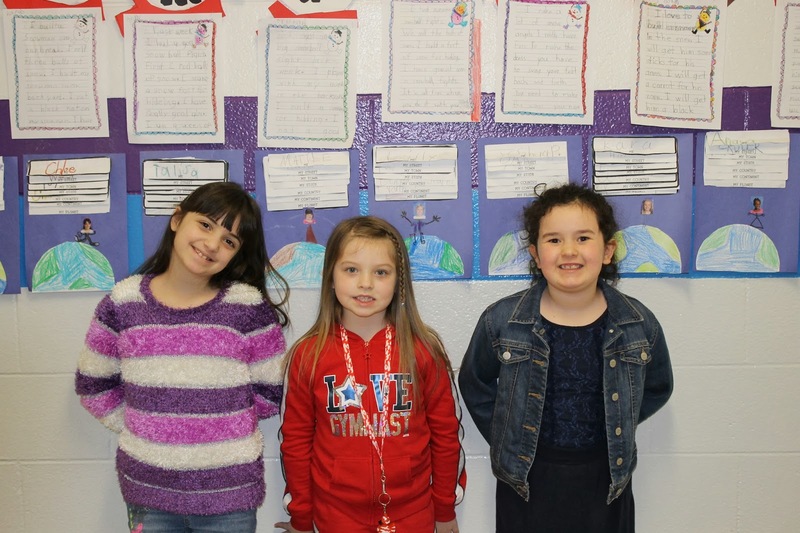 Kinyon Elementary School is happy to report that the totals are in for its “Jump Rope for Heart” event and Kinyon raised a total of $3,460.17. Last year's total was around $800. 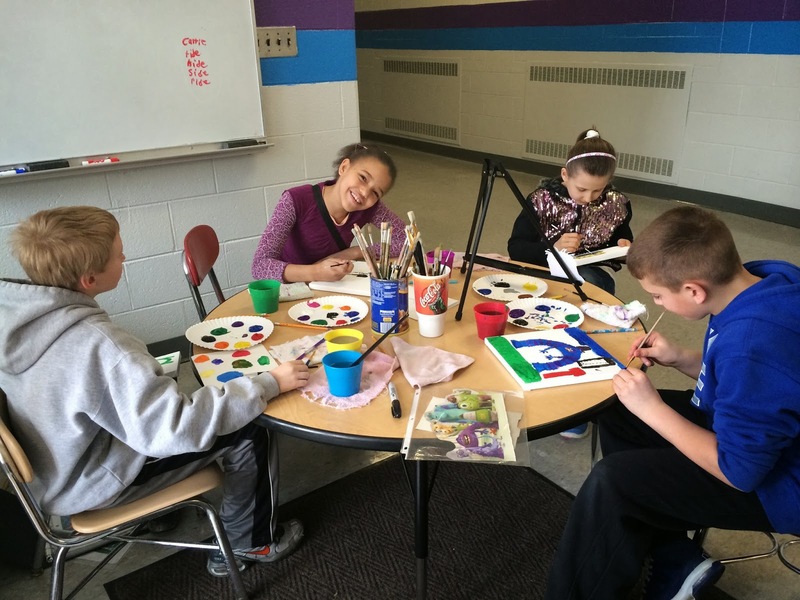 Kinyon far surpassed its goal, which has been set at $2,000. 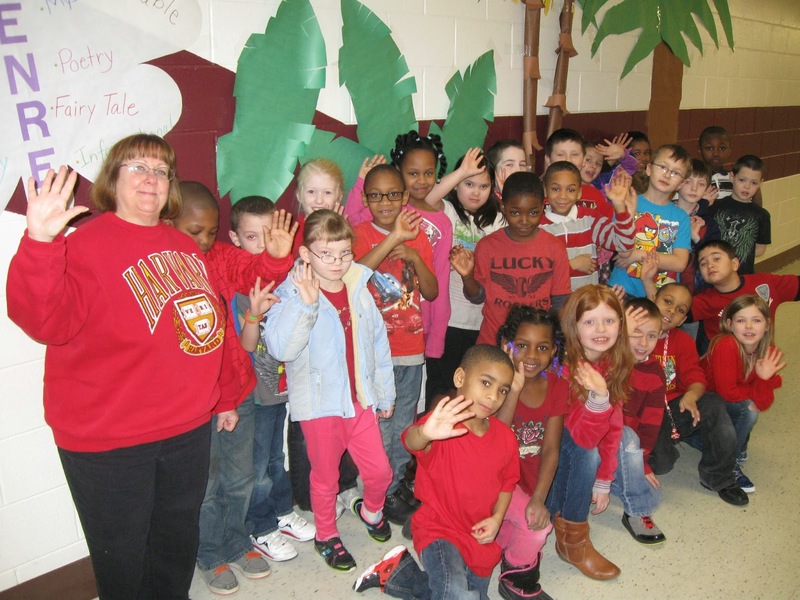 Mr. O'Neill's class raised a total of $528 and also had the highest percentage of students wearing red, so his class was awarded two additional PE times in the gym. 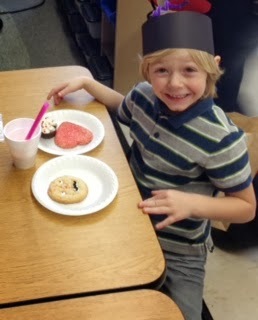 Aiden Cotton, also in Mr. O'Neill's class, was the student who raised the most money with an amount of $210! 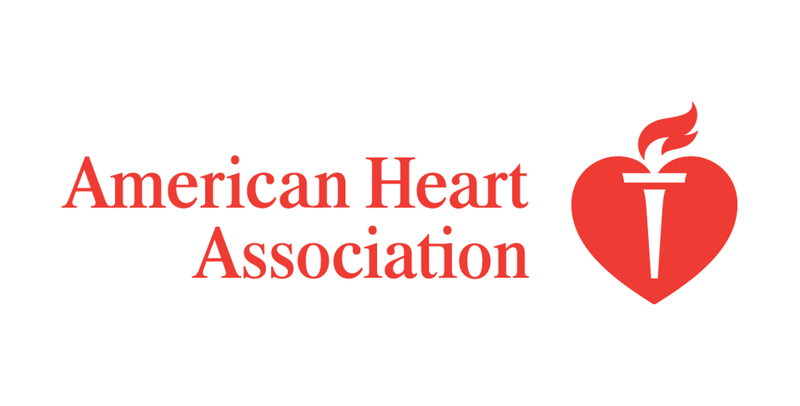 He will receive a certificate from the American Heart Association, along with a medal from the AHA. 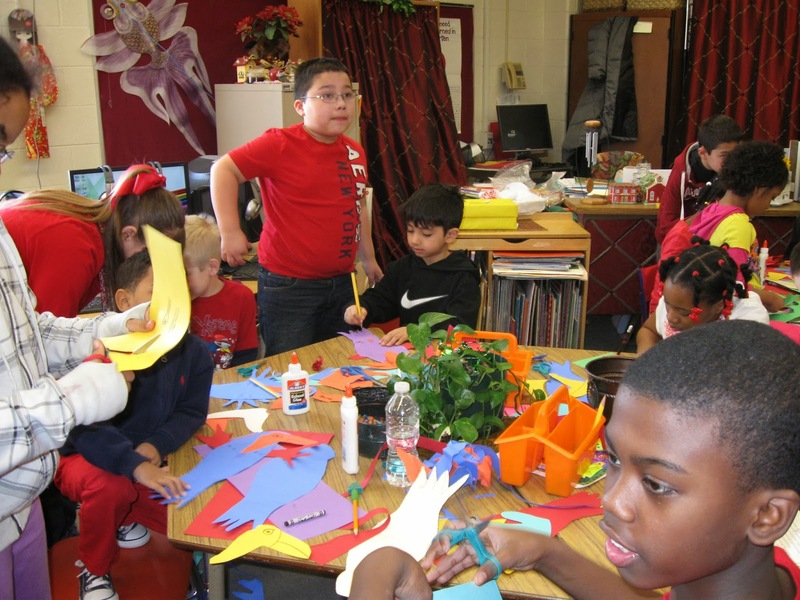 The school will be receiving thank you gifts from the American Heart Association in about three to five weeks. They then practiced using the CCSS of counting by tens to decipher how many apples they had as a class. Valentine's Day is gone but not forgotten. 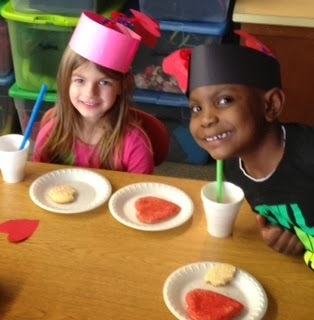 Ms. Bochenek's class at McDowell Elementary School made “Sweetheart Smoothies” and headbands to celebrate the day in style! 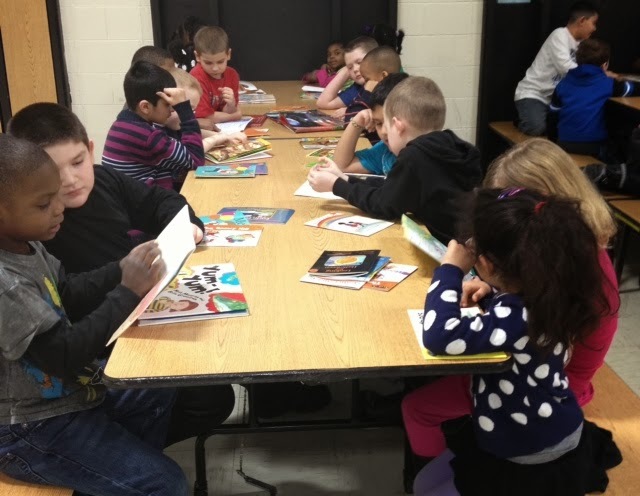 Third graders from Mrs. VanDerworp's class and kindergarteners from Ms. Bochenek's class work together once a week at McDowell Elementary School. They read books to each other. 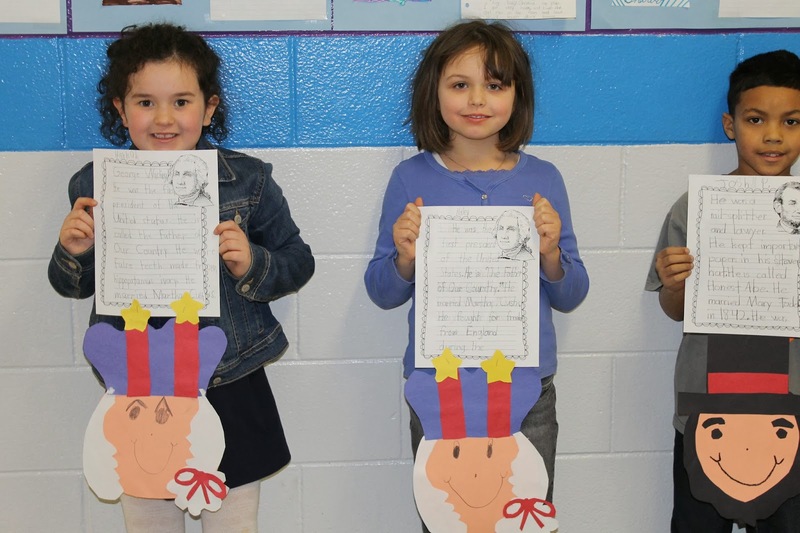 The third graders have been trained to praise their younger buddy when they read or find letters and words that they know in books. The little buddies really look up to their older buddies. 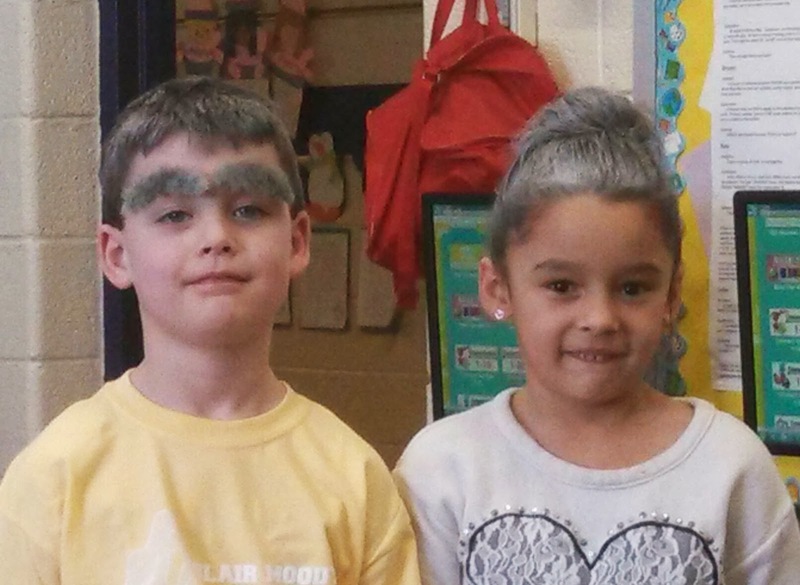 The older buddies are learning to be caring and empathetic with the kindergarten students. Both groups enjoy this time together. 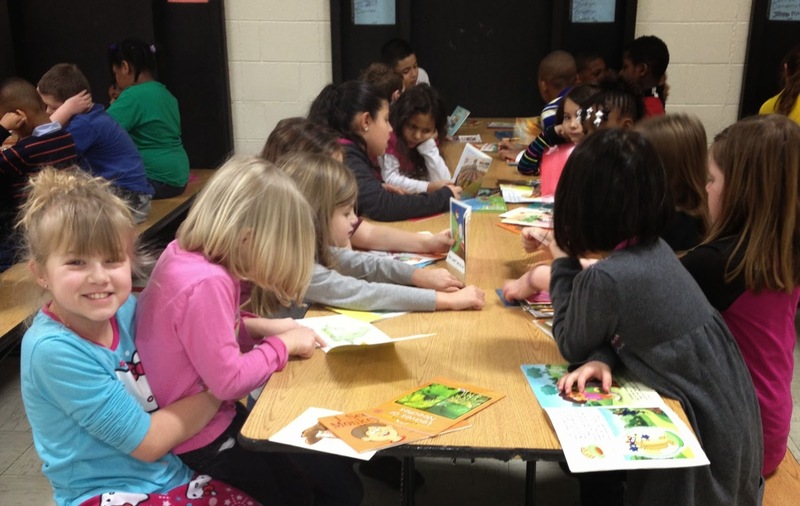 Myers Elementary School hosted the first of many guest readers for Reading Month. 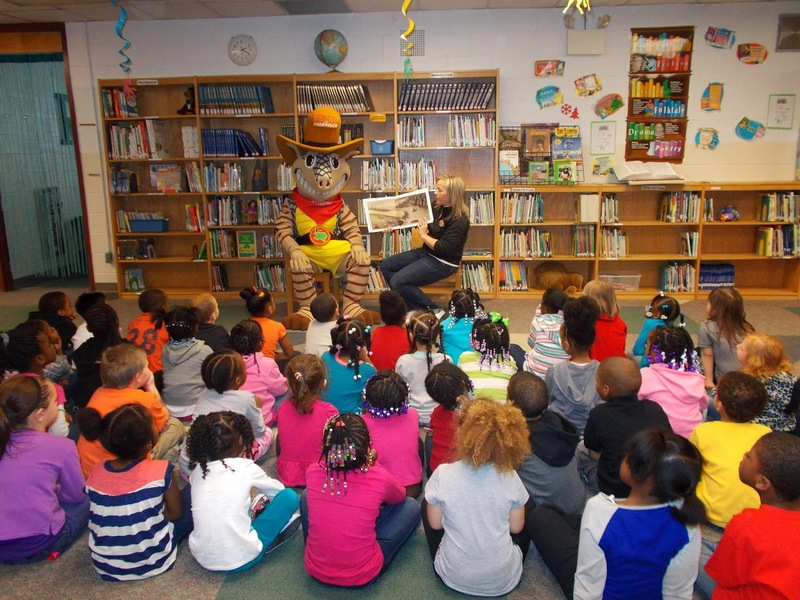 Ms. Adrienne and Andy from the Taylor Texas Roadhouse read "Otis and the Puppy" to all Kindergarten and first-grade classes. 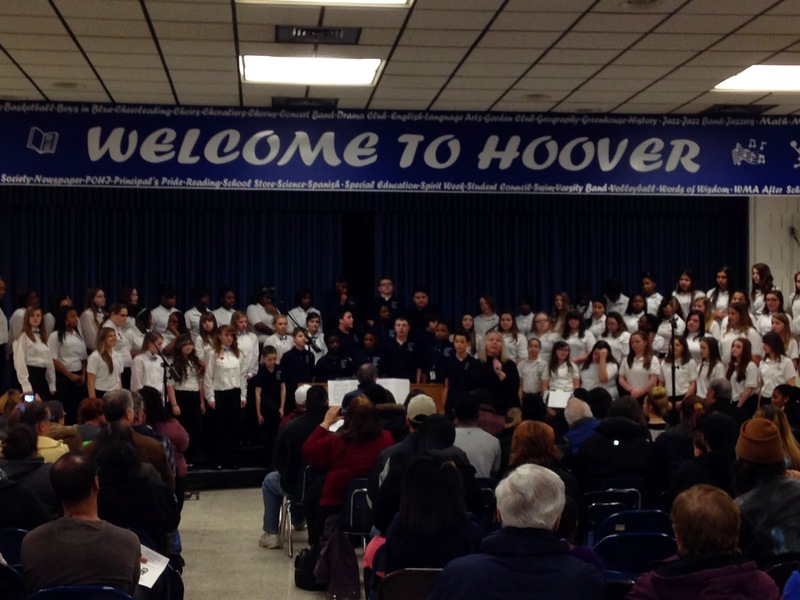 Michelle Tocco, principal at Hoover Middle School, sent over some pictures from the Chorus Performance Tuesday night. 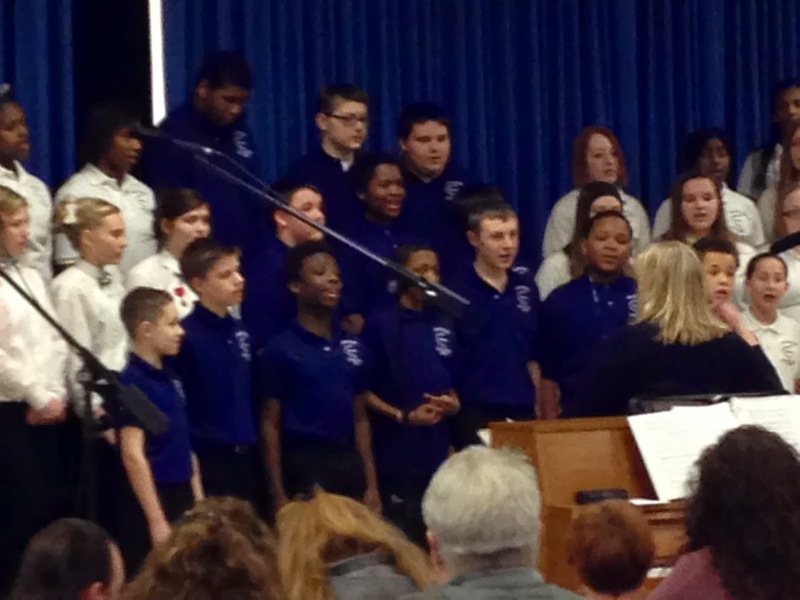 The principal said that the students preformed in front of a full house and did a fantastic job, and credited JoAnn Wright, the chorus director. 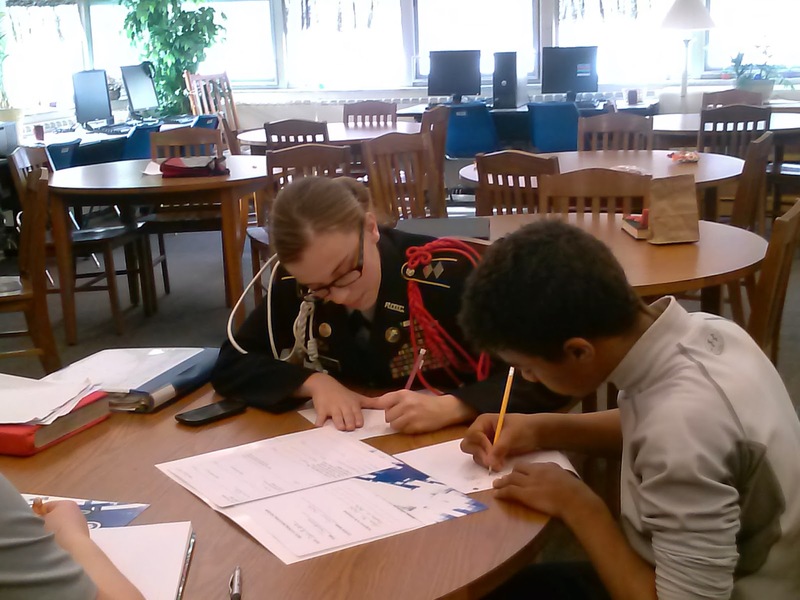 The Sixth Grade Academy has teamed up with the Kennedy High School JROTC to provide a little extra support for students wanting additional help with their studies. 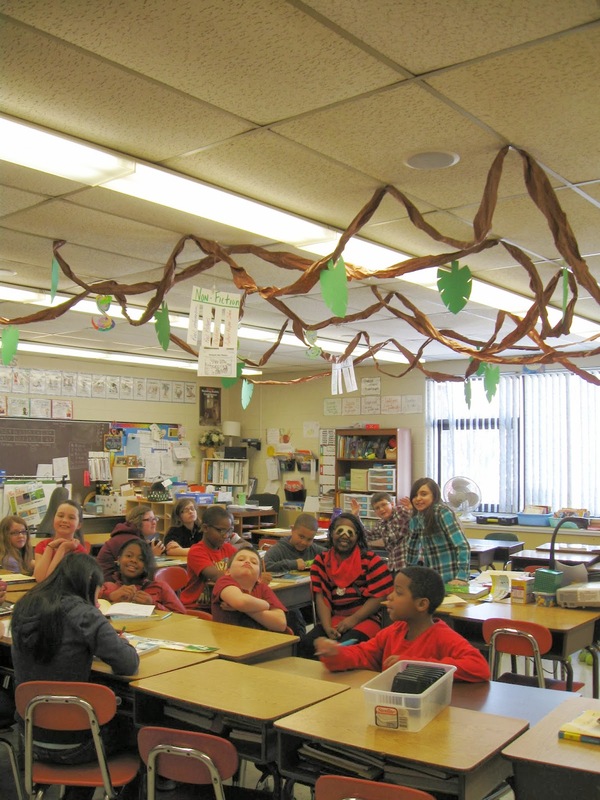 EUREKA HEIGHTS ELEMENTARY SCHOOL: Pupils learn Ford did have a better idea! 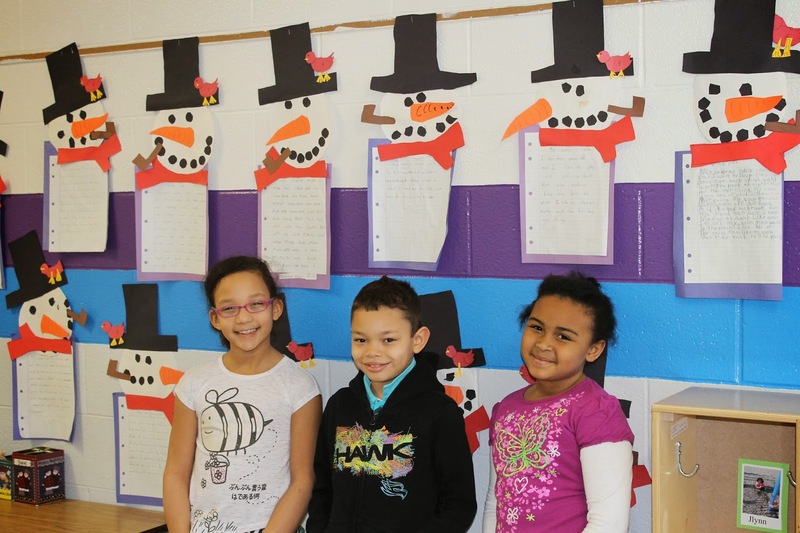 Eureka Heights Elementary School third-graders learned about Henry Ford recently. Mrs. Bell led a lively discussion on what goes on an assembly line. 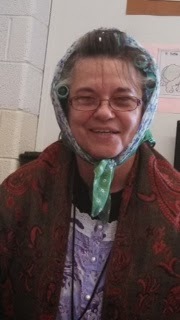 Her pupils were full of great questions and made some good connections on how we honor Henry Ford today as a man who pursued his dream of being an automaker. 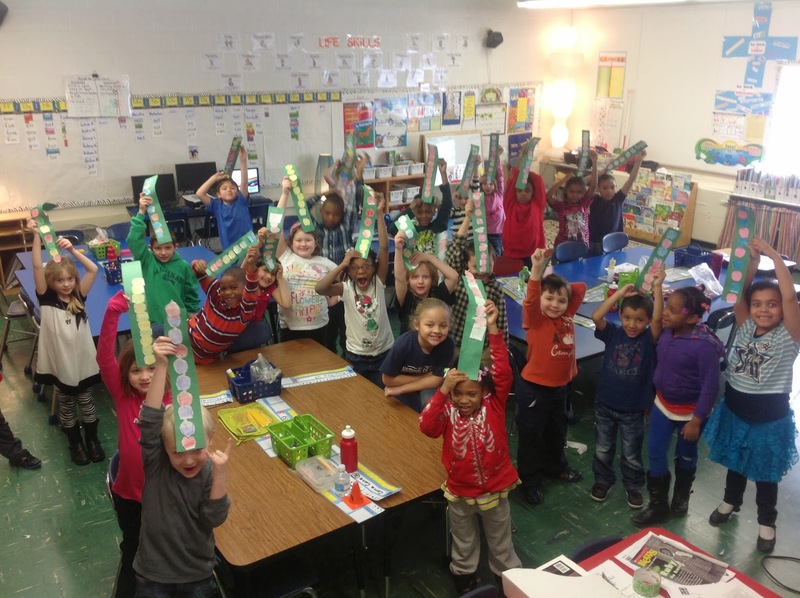 Whether counting objects, singing a song or dressing for the occasion, adding up to 100 is a big deal. 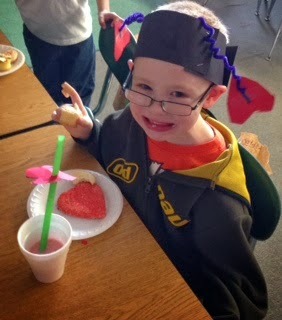 And the 100th day of school is no exception at Blair Moody Elementary School. 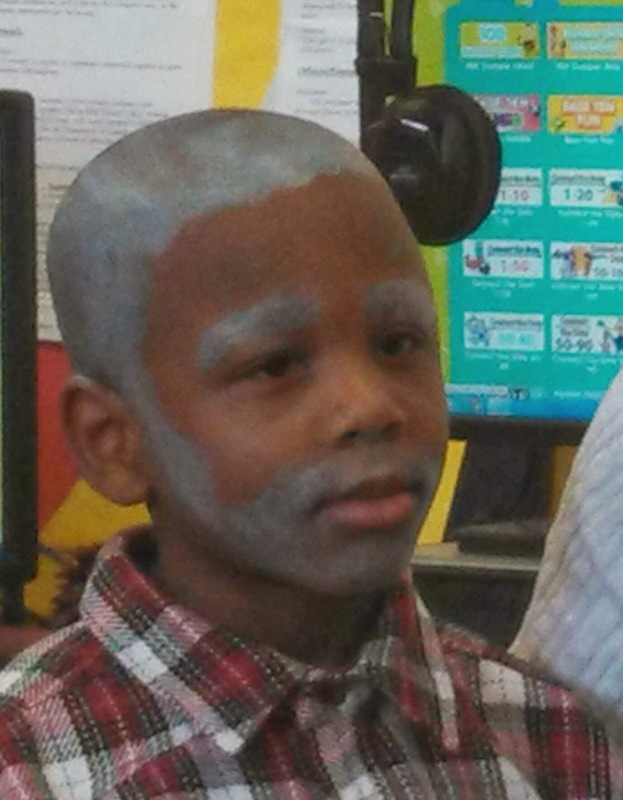 Students and staff alike, sporting gray hair, spectacles, canes and aching limps, cruised the halls of Moody in a fun-filled day of activities that included the number 100! 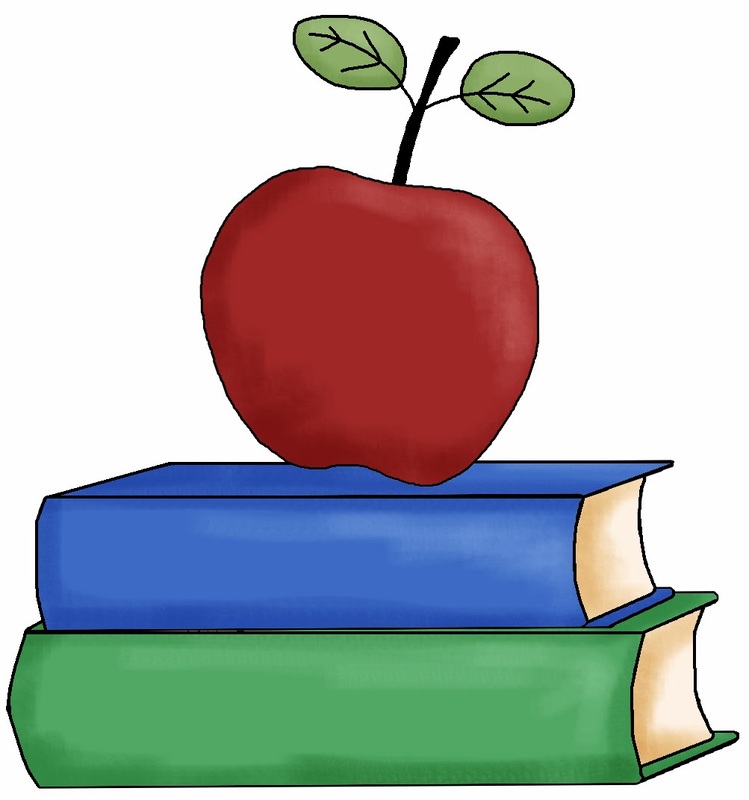 Teachers with false teeth wearing robes read 100 books. Pupils arranged objects in every shape known to man. Math problems, creative writings of being 100 and measuring in inches, centimeters, feet and/or cubes became the day's work. It was fun by hundreds for both young and old – and proved to be a century-old past time. 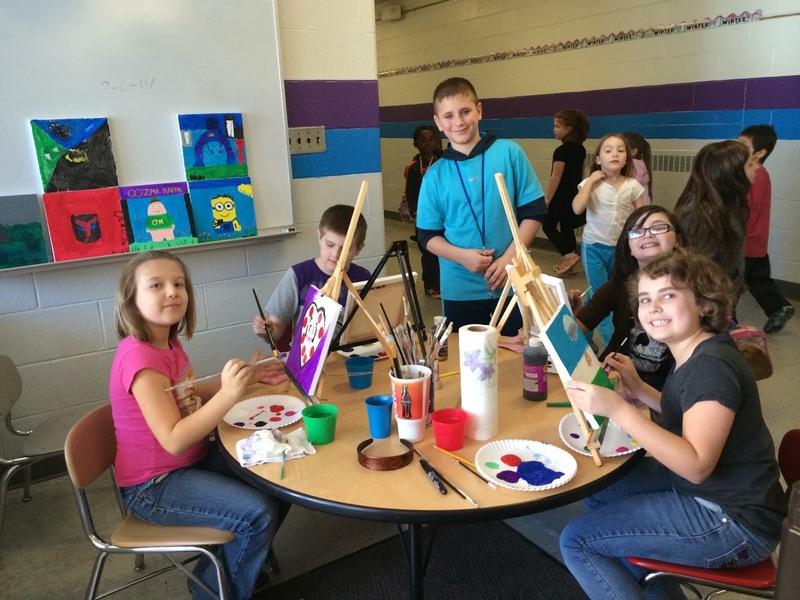 KINYON ELEMENTARY SCHOOL: Teacher needs your help to win grant! 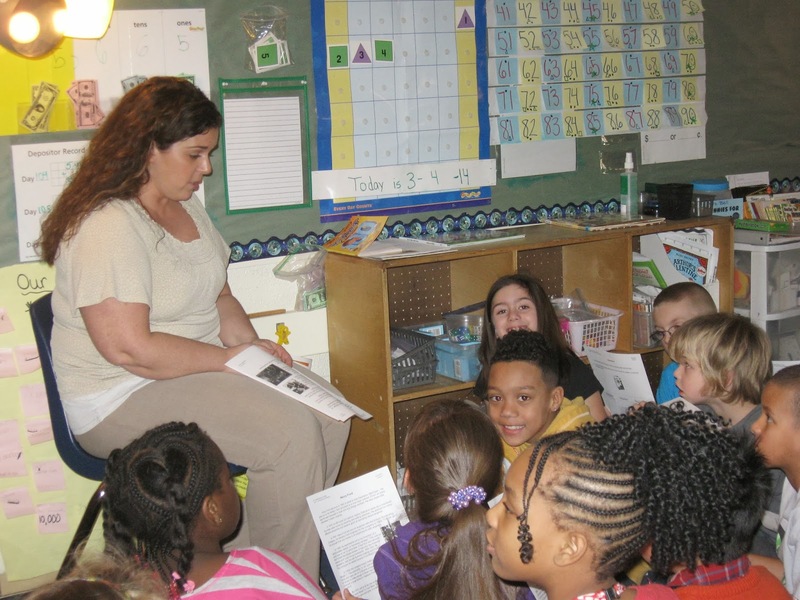 Deedy Polidori, third-grade teacher at Kinyon Elementary School, has submitted a proposal for a $2,500 grant on a great website called thankamillionteachers.com. During the month of March you can vote once a day for her proposal. Thirty grants will be awarded around the country and, with everyone’s help, Polidori can be one of them! 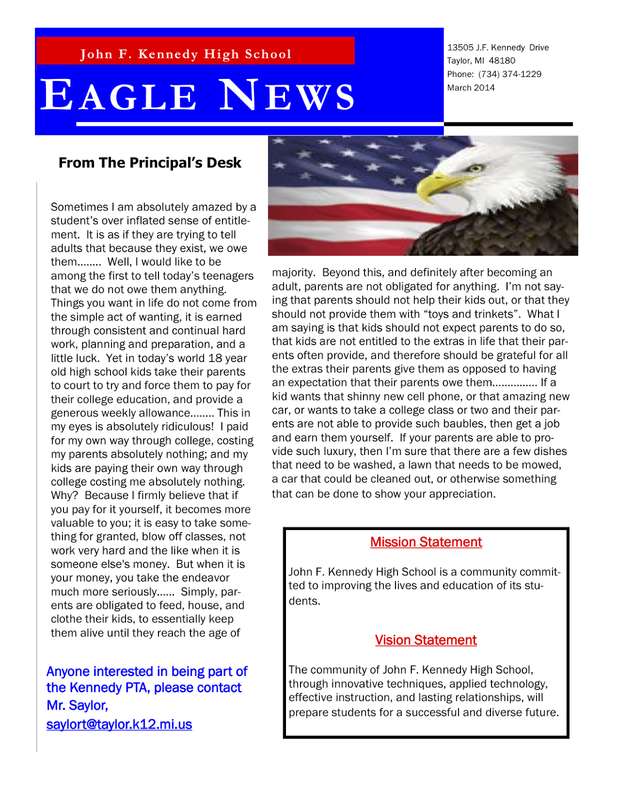 Just visit thankamillionteacher.com and click on the “vote for a proposal” in the upper right hand corner. 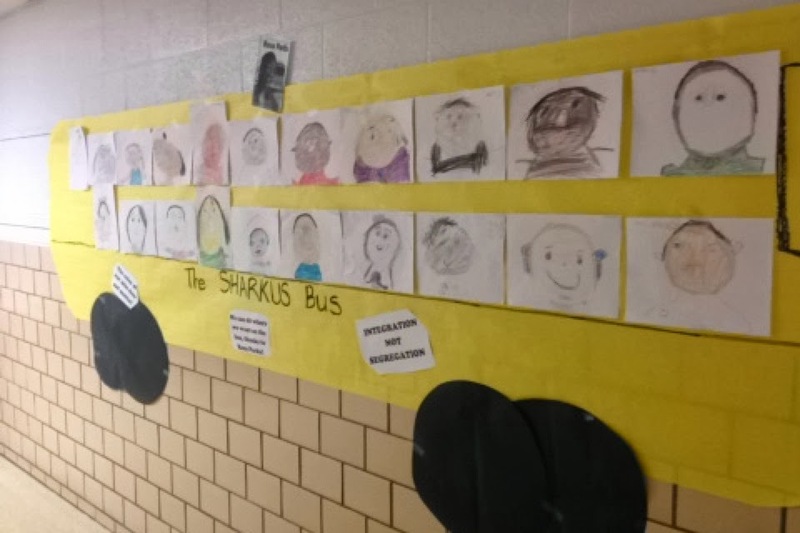 EUREKA HEIGHTS ELEMENTARY SCHOOL: First-graders learn history and take the bus! 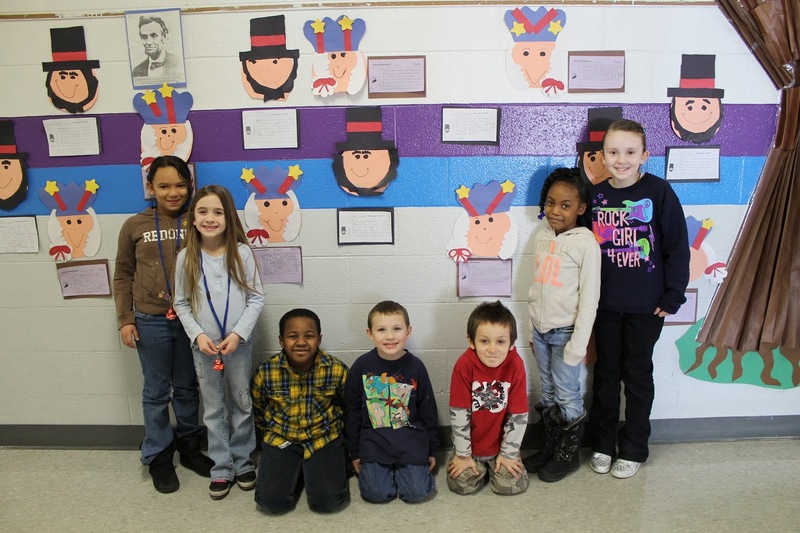 Eureka Heights Elementary School pupils in Ms. Farkas' and Ms. Schoen's first-grade class focused on the lives and accomplishments of Ruby Bridges, Harriet Tubman, Martin Luther King Jr. and Rosa Parks during Black History Month. 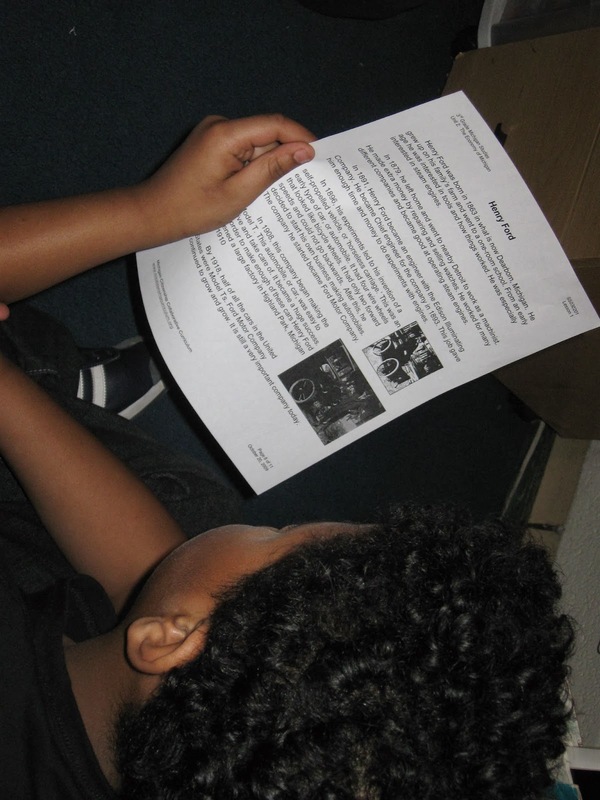 The vocabulary words that the class focused on were drawn Scholastic News issues focusing on Black History Month, books that we're read as a class and mini videos that helped the children relate to the struggles of the time through age-appropriate songs and video clips. 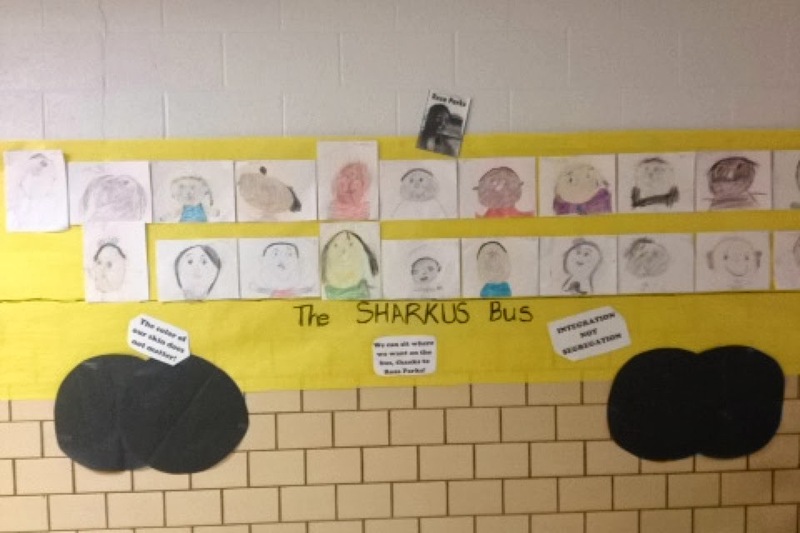 The class finished off the month by designing the Sharkus Bus, where all children can sit wherever they choose! "Thank you Rosa Parks for not giving up your seat!" 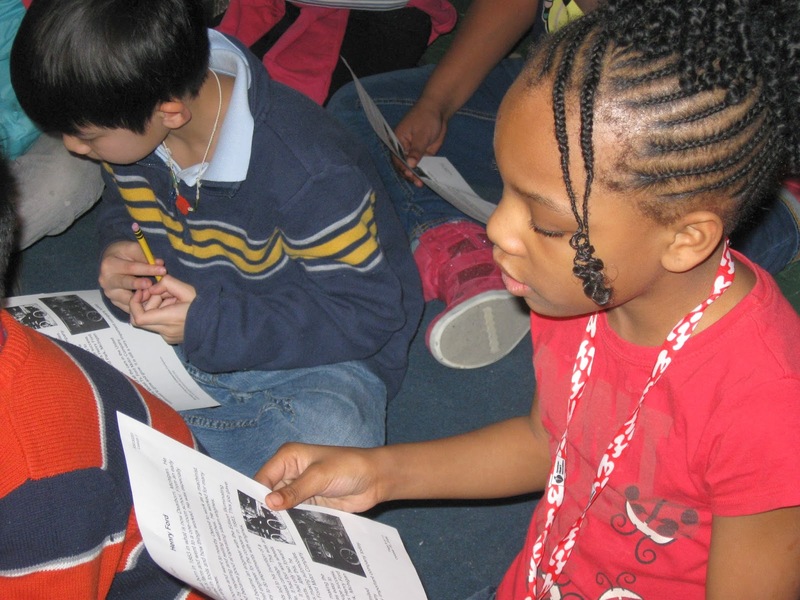 "Ruby Bridges was a hero!" 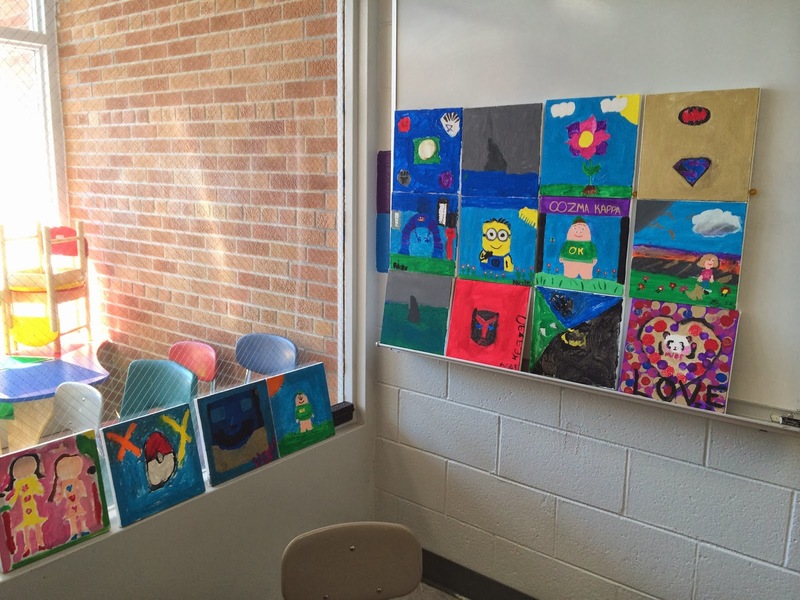 The second-grade team at Kinyon Elementary School, offers up some pictures of exciting things that pupils have been working on. 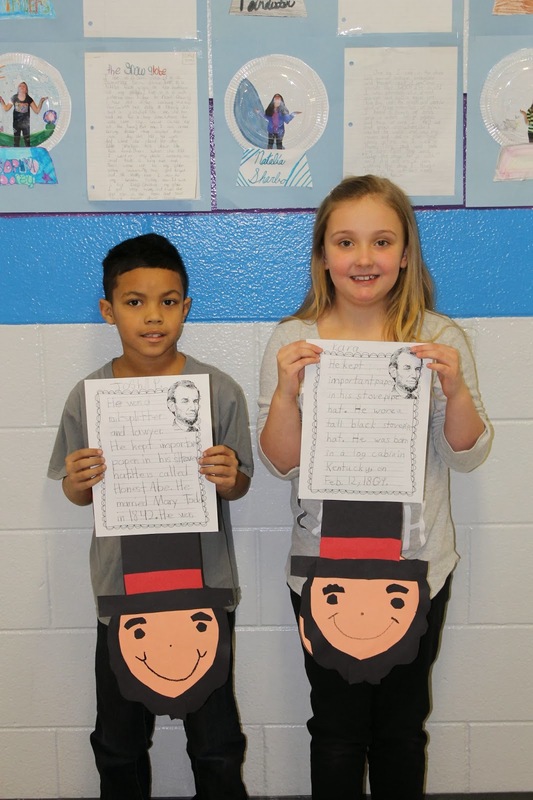 They did some non-fiction writing for President's Day and had a math grid to help learn about Black History Month. 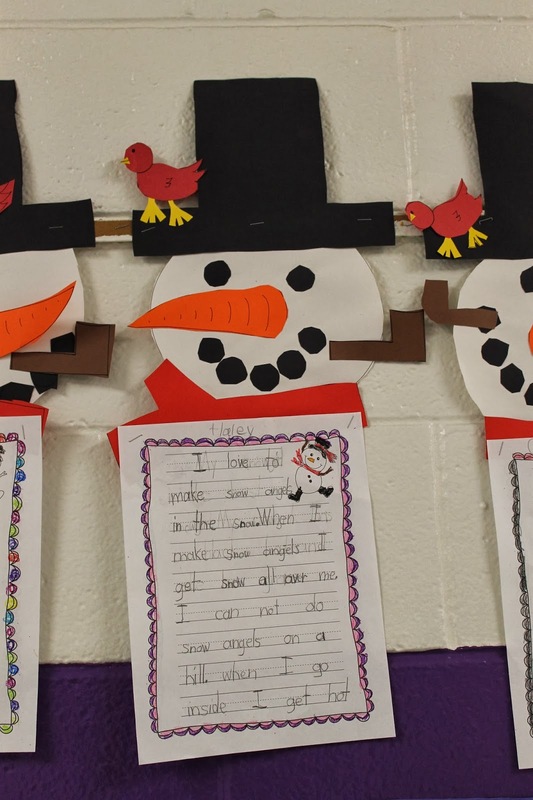 They wrote snowmen paragraphs using the Write-Steps Program. They also made flip books in social studies to learn about where they live on a map.